Quenedey, a pupil of François Devosge III (1732–1811), was born in Riceys-le-Haut (Aube). He worked in Brussels, Ghent, Paris, and Hamburg. He collaborated with Gilles Louis Chrétien (1754–1811), who invented the physionotrace, a mechanical device for making profile portraits, and made improvements on it. Quenedey was extremely prolific, and there is a collection of twelve thousand portraits by him in the Bibliothèque Nationale, Paris. He died in Paris. In his unpublished list of the miniatures in the Fredrick collection (1960), Edward Grosvenor Paine dates this work about 1790, but by comparison with other examples it appears to be at least ten years earlier. New York. The Metropolitan Museum of Art. "European Miniatures in The Metropolitan Museum of Art," November 5, 1996–January 5, 1997, no. 86. New York. The Metropolitan Museum of Art. "In Miniature," August 29–December 28, 2014, no catalogue. Edward Grosvenor Paine. Inventory of the miniatures in the Fredrick collection. 1960, p. 12, no. 87, dates it about 1790. Graham Reynolds with the assistance of Katharine Baetjer. 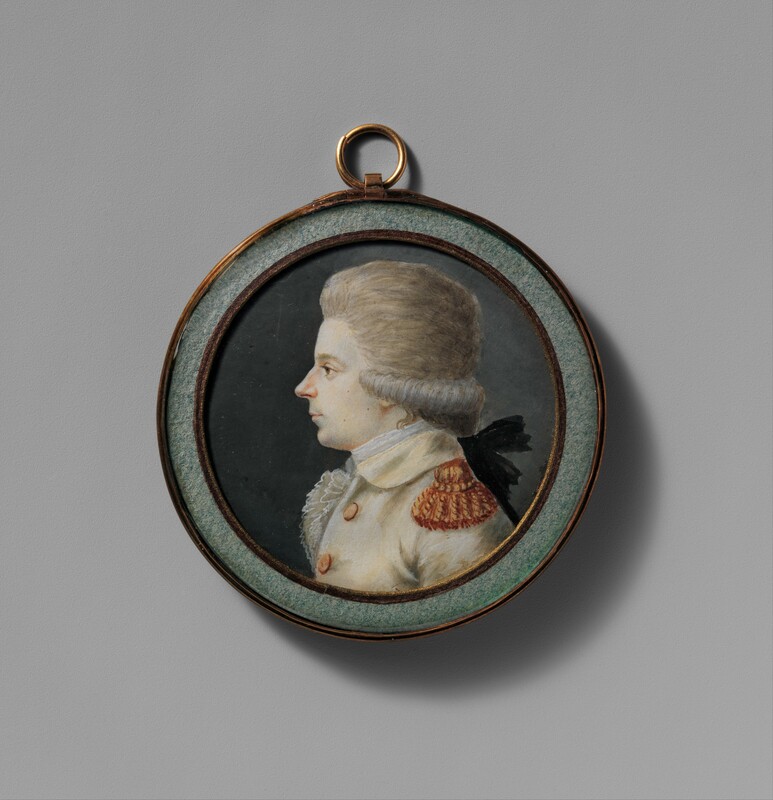 European Miniatures in The Metropolitan Museum of Art. Exh. cat., The Metropolitan Museum of Art. New York, 1996, p. 112, no. 86, colorpl. 86 and ill. p. 112, state that by comparison with other examples, it dates about 1780.